← I Don’t Like Fridays! Which Is Really To Ensure We Are All Doing The Same Thing! Some Have Rushed In And Rushed Out Again! Some Are Sitting There Doing Absolutely Nothing At All! Some Are Working Hard But Not To Plan! And Some Are Working Directly And According To Plan! At A Set And Certain Time! This is just a quick note to ensure you are using the TenKei Program in the manner you should. We’ve gone back to the Contrarian 1Minute Chart as it’s not that the Program is not working because it is, it’s simply that I was waiting for the New & Improved Update from my programmer but thought I would receive it far sooner than this! The good news is he is on the case but it does take time for us to end up singing from the same page, as I think one way and he thinks another and all correspondence is done via email and screenshots. Anyway, were you at your screens watching what was happening on the Contrarian 1Minute Chart this morning? 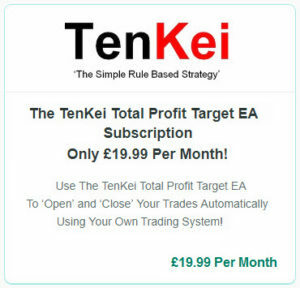 I have my TenKei 7.0 & TPT set to start at 07:03 GMT and I aim to hit Target as soon as possible! 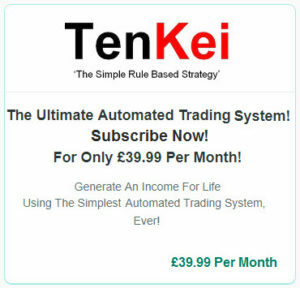 I know the TenKei Program is meant to do this for us but if you have not set up your System to Trade at the times set above, you will miss many opportunities! 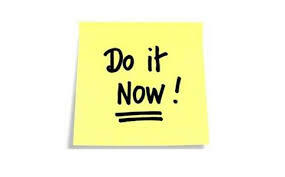 Some of you are still Trading well into the afternoon and I really cannot see why you would want to do that if you had hit your Targets earlier in the day! Do not go giving your profits back to the Broker! …so if you are not doing what you are supposed to be doing, get set, get serious and start doing what you are supposed to be doing, Right Now! I’m not as tough on you as I am on myself but get tough, on yourself, as this does work! P.S. 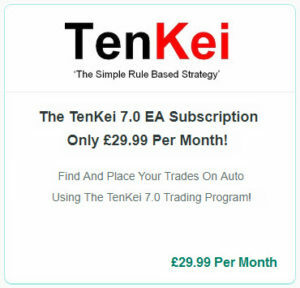 Please revisit the TenKei Strategy Guide right here: https://tenkei.teachable.com/courses/tenkei/lectures/3769529 as some of you have gone astray! 2 Responses to You Cannot Be Serious! Hello Wilson, I’m enjoying this and like yourself I want to get all my trading done as quickly as possible! I’ve been using M5 charts, based on the templates you gave us the other day; and was using latest versions of these. In fact I got pretty much the same trades on 12th and 13th as you did on your M1 charts, and also a single profitable trade yesterday on M5. I continued with M5 today, and it took five trades, before shutting down autotrading in a small profit. (approx 2 points). I don’t think I have any issues with my laptop or internet, but as you say, it’s better to play safe – I’m not yet on a VPN so will hopefully set this up tomorrow! I just have a quick question regarding your M1 chart settings before I revert to M1. Are these based on the settings for M5 that you gave us the other day, or an earlier M1 template? The M1 Settings are exactly the same as the M5 Settings, the only difference is when using a 1M Chart (as a Filter & Indicator to which it is – the TenKei way) your Trades wil be triggered sooner rather than later.